It’s been a few weeks since Marshawn Lynch announced he was coming out of retirement, returning to the NFL with his hometown team of the Oakland Raiders. And how better to keep the celebration going than by taking a nice weekend bike ride with hundreds of pals? 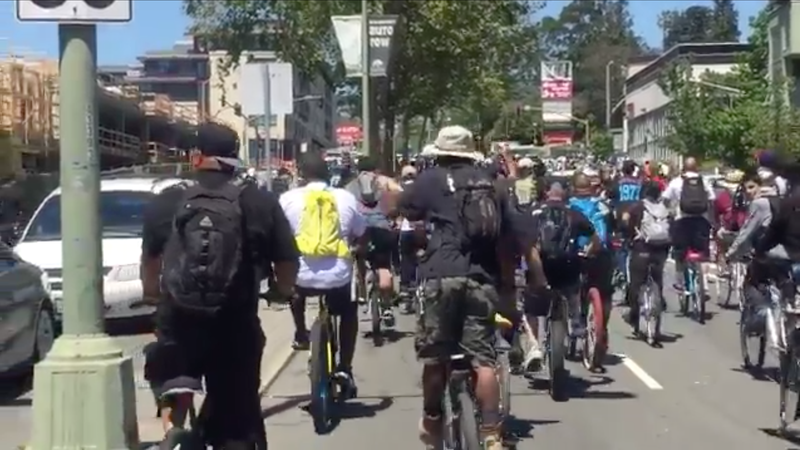 Per SFGate, 300 to 400 riders came out in total and went from Oakland to Berkeley. What a damn delight.